A Kentucky motorcycle accident near Murray, Kentucky has sent Richard A. Crittendon, age 54, to the hospital with injuries. This accident happened on KY 94 near Eastwood Christian Academy at approximately noon on Monday. Reports indicate that Mr. Crittendon was traveling eastbound on his 1988 Kawasaki motorcycle when a 1999 Toyota van, driven by Ruth Drew, age 44, of Murray, turned into the pathway of Mr. Ctittendon, causing his motorcycle to strike her vehicle and ejecting Mr. Crittendon from his motorcycle. Mr. Crittendon was taken to Murray-Calloway County Hospital to be treated for his injuries. Mr. Crittendon will be able under Kentucky law to seek civil damages (here is a LINK to further explanation of civil injury damages) related to this motor vehicle crash. Too often drivers do not pay enough attention to motorcyclists on the roadway, and a common cause of motorcycle accidents is when a vehicle turns into the pathway of on-coming paths of motorcycles. When Kentucky motorcycle accidents occur they usually involve serious injuries to the motorcyclist, as such persons are propelled through the air and land breaking bones and suffering internal injuries. As such, the medical bills can be substantial for these accident victims and often the recovery time is long and work/income is missed. Due to the likelihood that the legal damages suffered by victims of motorcycle crashes will be large, insurance issues become complex and often an experienced attorney is able to seek coverage from other insurance policies, above the coverage afforded by the at-fault driver, to insure that the injury victim is fully compensated for the injury and damages suffered. Motorcyclists and their passengers need to know their legal rights and what insurance coverage applies to them when they are involved in Kentucky Motorcycle Accidents. Motorcycle insurance coverage can differ from than standard auto insurance coverage. As such, it’s important to know what your rights are under Kentucky Law to seek reimbursement of medical bills and compensation for legal damages related to the accident. Often drivers of cars and trucks do not afford motorcycle riders their full deference and rights on Kentucky roadways. As such too often accidents involving motorcyclists result in serious injuries. Just this week along, there have been several serious injuries to Kentucky motorcyclists, where fault for the accident has been on the part of inattentive drivers, and has resulted in serious injures to persons on motorcycles. 52 year old Christopher Bailey was killed Friday in a Kentucky motorcycle accident. Reports indicate that Mr. Bailey was traveling Norton Street in Paducah, Kentucky when a vehicle driven by an elder gentleman attempted to turn left onto Norton Street from 3rd Street. In doing so, the elderly driver turned into the pathway of Mr. Bailey, who was unable to avoid the collision and struck the corner of the turning vehicle. Both Mr. Bailey and the driver of the turning vehicle were taken to the hospital for their injuries. Mr. Bailey died at the hospital. Motorists must be mindful of motorcyclists. In this case the driver failed to yield the right-of-way to Mr. Bailey’s motorcycle and negligently turned into the pathway. As such, under Kentucky Law, the family of Mr. Bailey will have a Kentucky Wrongful Death Claim against the other driver. Mr. Bailey’s Estate will be responsible for medical bills from this accident, and his Estate, that being his family, will have claims related to their loss of Christopher Bailey’s life, his lifetime of lost earnings, his pain and suffering from the crash just prior to his death, and funeral expenses. Families who have lost loved ones in Kentucky motorcycle accidents suffer not only emotional hardships, but also financial hardships due to all sorts of bills and the lost income that the deceased would have been able to provide. As such, Kentucky law recognizes that wrongful death claims are one avenue to try to help a family monetarily with the loss they have suffered. The Ackerson Law Offices (www.kyfirm.com) are experienced in helping victims and families of victims involved in Kentucky Motorcycle accidents. This Kentucky Motorcycle Crash happened on Tuesday. Police reports indicate that 52 year old Charles Holton failed to see 23 year old Patrick Hamlin’s motorcycle, as Holton tried to turn off of Central Road onto West Tucker Road. Holton failed to yield the right-of-way to Hamlin, and turned into the path of Hamlin’s motorcycle. The crash caused Hamlin to be thrown 75 feet and suffer serious injuries. Patrick Hamlin’s injuries were so serious that he was airlifted from Jackson Purchase Medical Center to Vanderbilt University Medical Center. Motorcyclists can suffer serious injuries when motorists hit them. Mr. Hamlin’s medical bills and future medical bills will be very expensive. He will not be able to work for a period of time and he will have severe pain and suffering from his injuries. All of which are covered by Kentucky law and all of which Mr. Hamlin has a right to recovery and be compensated for under Kentucky law. A fatal Kentucky motorcycle accident has tragically taken the life of a 19 year old. Jacob Ebenstein was riding his motorcycle when William Wesley, age 40, pulled out in front of Mr. Ebenstein’s motorcycle, causing a collision and throwing Mr. Ebenstein from his motorcycle. The motorcycle/car crash occurred at the intersection of KY 635 and Smith Vault Road, which is about 10 miles north of Somerset. Jacob Ebenstein was airlifted to UK Hospital where he later died from his injuries. Mr. Wesley was arrested and charged with a DUI. Jacob’s family has legal recourse to take against Mr. Wesley, in addition to the criminal charges. Under Kentucky Law, the Ebenstein family can establish an Estate and pursue a Kentucky Wrongful Death civil legal action against Mr. Wesley. In such cases like this, the suit can seek damages that include claims for the funeral expenses, medical bills related to airlifting and treating Jacob, pain & suffering of Jacob related to the accident, and the lifetime lost wages/earning capacity of Jacob. The lost earning capacity claim will be substantial, as Jacob was only 19 at the time of this fatal accident. “While Mr. Wesley has only initially been charged with a DUI, he will also face a number of felony charges related to this tragic event, potentially including manslaughter charges. Additional felony charges are usually added on around the time of the arrangement. I handle DUI related accidents and death civil cases for victims and their families, and I expect that Mr. Wesley will face harsh criminal charges. Justice demands it” –Wrongful Death Attorney Brent T. Ackerson. Lanny Josey and Patsy Deforrest were seriously injured after Josey’s motor cycle hits a car head-on. Deforrest was a passenger on Josey’s motorcycle. Reports indicate that Josey may have been intoxicated, having a .15 blood alcohol level. Persons injured in accidents due to teh fault of others may have legal claims for their suffering and damages. As such, Deforrest will be able to have legal claims related to this accident. The accident happened at a railroad overpass near 1800 Wimberg Avenue in Vanderburgh Co., Indiana. Robert Andrus, age 77, of Benton, was killed Sunday, in a Kentucky motorcycle accident. Andrus was traveling northbound on US 641 in Calloway County, Kentucky, approaching the intersection of Wood Drive, when his motorcycle collided with a vehicle crossing both northbound lanes of US 641. Andrus was taken to Murray-Calloway County Hospital where he died of his injuries. KSP are conducting an accident reconstruction to determine exactly what happened in this fatal crash. Andrus’ family may have legal claims related to this accident, and may be able to recovery legal damages related to this fatal accident. 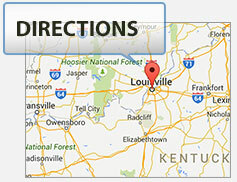 Such legal claims are referred to as Kentucky Wrongful Death Claims. In matters such as this, the case, the damages calculation, and the apportionment of fault/liability can be complicated. Aleksandar Dejanovic of Louisville, Kentucky was injured in a motorcycle crash. Mr. Dejanovic was riding his motorcycle when he was hit by a drunk driver. The crash threw Mr. Dejanovic from his motorcycle onto the drunken driver’s windshield. Even though Mr. Dejanovic was wearing his helmet, he still suffered severe injuries, including a skull fracture. The drunken driver has been charged with a multitude of criminal charges, including DUI. This is a case where Mr. Dejanovic can seek legal recourse for his injuries, his medical bills, his pain & suffering, and his lost wages (that are due to his missing work because of his injuries). James Duffy, age 61, and Karen Marinko, age 57, were riding a motorcycle on Mulberry Street in E-Town, Kentucky when the motorcycle they were riding was involved in an auto collision. Duffy was the driver of the motorcycle and Marinko was a passenger of Duffy’s. Based upon reports, it appears that the motorcycle was traveling westbound on Mulberry when a Mercury Grand Marquis, driven by Daniel Cook, age 68, was traveling eastbound on Mulberry. Cook attempted to turn left into a Denny’s Restaurant parking lot and Duffy’s motorcycle then struck the right rear of Cook’s car. Based upon the facts surrounding the crash, Cook failed to yield the right-of-way to Duffy’s motorcycle, and attempted to make a quick turn into the parking lot. As a result of Cook’s failure to wait for a clear passage to turn, Duffy’s motorcycle struck the rear side of Cook’s car, which threw Duffy and Marinko from the motorcycle. Cook was not injured in the accident, but Duffy and Marinko were airlifted to UL Hospital, where Duffy died and Marinko is in critical condition. Based upon the reports of the accident, Duffy’s Estate and family will have a Kentucky wrongful death claim against Cook and his insurance company for damages that relate to the loss of Duffy’s life. Additionally, Karen Marinko will have Kentucky personal injury claims against Cook and his insurance company for her injuries and legal damages related to the accident. This was a tragic accident that could have been avoided by driver awareness and patients.